They lined the other side of the street and leaned out of car windows yelling for Danny, Charlie, Dee, Mac and Dennis, taking photos and waving at people they’d only seen on television before. And they were heard. 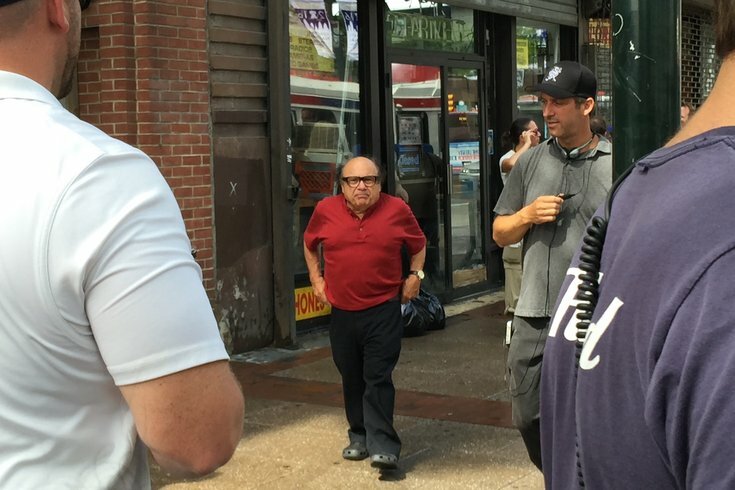 On Friday, the cast and crew of “It’s Always Sunny In Philadelphia” shot exterior scenes for its upcoming 12th season of pushing the limits of comedy on FXX Network. Well, they shot scenes near 10th and Market Streets when they weren’t waving back or posing for selfies with fans who turned the block into an interactive Hollywood experience. And to hear them tell it, they had a blast while doing so. “It’s great to be back,” said Charlie Day, who portrays “wild-card” character Charlie Kelly on the show, which started in the mind of his co-star Rob McElhenney, a Philadelphia native and St. Joseph’s Prep grad. “We’ve missed it because we weren’t here the past two years. While Day said he and his family — namely co-star Mary Elizabeth Ellis (who portrays his character’s stalked-interest “The Waitress”) and their four-year-old son Russell — used their downtime during the week-long shoot to check out The Franklin Institute, co-star Danny DeVito said he doesn’t get much of a chance to get around the city while they’re here. 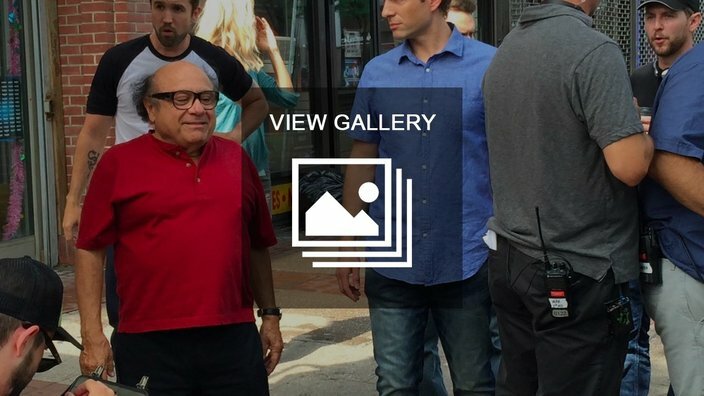 'It's Always Sunny in Philadelphia' stars Rob McElhenney, Danny DeVito and Glenn Howertown take a break from shooting scenes near 10th and Market streets on Friday, July 1, 2016. DeVito arrived by car Thursday night and saw the skyline he digs, and felt the energy that endears Philadelphia to him. He admitted these types of shoots are challenging, though, with so many moving parts that don’t present themselves when working in the studio. For McElhenney, these sorts of shoots represent a genuine homecoming. Having grown up here, most of his extended family remains local. He spoke Friday between filming a scene along Market Street — sorry, the plotline is embargoed until the season gets underway, date to be determined — he discussed what he misses most about Philadelphia. During the show’s time here, McElhenney had a chance to welcome Aniya Wolf to the set. Wolf, as you may remember, was kicked out of her prom in Harrisburg for wearing a suit. After the story went viral, McElhenney learned about it via Mayor Jim Kenney’s Twitter account. So, he invited Wolf, and Wolf had her supporting-star turn on Thursday. A day later, Kenney chalked McElhenney’s graciousness up to their shared Jesuit education at St. Joe’s Prep that instills an understanding of “fairness, equality and acceptance,” before posing with the cast in a photo. As for Day, he shared a message for the It’s Always Sunny fans who didn’t catch them out and about during the past week. After all, it was their first time back after a two-year hiatus.